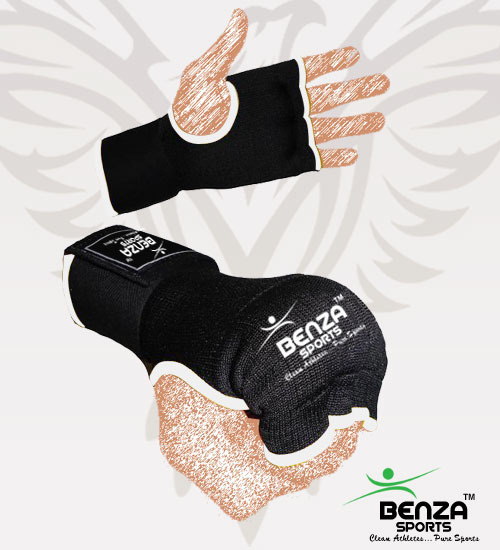 Hand Wraps Inner gloves for training without thumb. 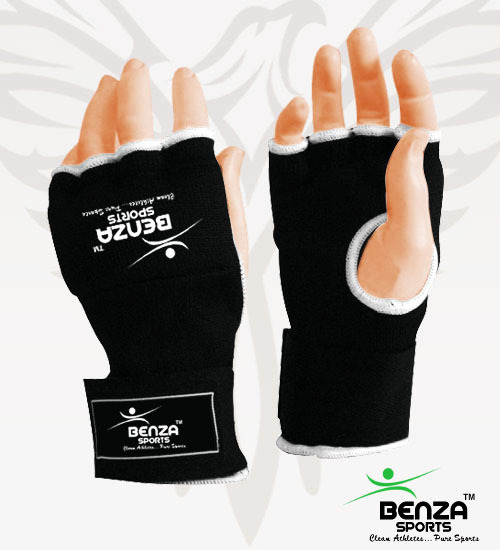 These BENZA boxing inner gloves feature a fingerless design with thumb hole for breathability and protective gel to the knuckles. The elasticated handwrap gloves have a contrast colour trim with a wrap around hook and loop fastener to each glove for a secure fit.